Individual tax slabs – No change in the existing tax slabs. No tax up to Rs.2 lakh; 10% tax on 2 lakh to 5 lakh; 20% on 5 lakh – 10 lakh; 30% on 10 lakh and above Education cess to continue at 3 percent. One silver lining is the tax credit of Rs.2,000 to be provided to every person to having income of up to Rs.5 lakh, as this will benefit 1.8 crore people. Super Rich Tax – The budget has levied a surcharge of 10% for individuals whose taxable income is over Rs.1 crore. Rajiv Gandhi Equity Scheme is liberalized to allow first time investor to invest in Mutual Fund and listed equity shares (income threshold increased from 10 lakhs to 12 lakhs). Further it allows investors to invest in MF schemes as well as listed shares, which fall under RGESS, for 3 consecutive years as against 1 year currently. Tax free bonds issuance to be allowed up to Rs.50,000 crore in 2013-14 strictly on capacity to raise funds from the market. Inflation Indexed bonds to be issued so as to encourage households to save in financial instruments rather than buy gold. Interest on home loan – additional deduction of interest up to Rs.1 lakh on an Home Loan amount up to Rs.25 lakhs for 2013-14. However this deduction is for first time home buyers only. Hence they will get deduction on interest payments of Rs.2.5 lakhs from Rs.1.5 lakhs last year. (The value of residential property should not exceed Rs.40 lakhs). Service tax to be levied on AC restaurants of all kindssss – Earlier, service tax was applicable for those AC restaurants which served liquor, but now service tax is applicable on all kindsss of AC restaurants, So your next eating out is going to be more costly! TDS on Real Estate Sale of Rs.50 lakhs – For any Real estate transaction (other than Agricultural land), the seller has to pay the TDS of 1% on the transaction amount if it is more than Rs.50 lakhs. So if you sell a flat worth Rs.60 lakhs, you will have to pay a TDS of Rs.60,000. Dividend Distribution Tax on Debt Mutual Funds hiked to 25% – Earlier only money market debt funds and liquid funds had a DDT of 25%, and other kindssss of non-equity funds had a DDT of 12.5% only, but now it’s going to be 25% DDT for all kindsss of debt mutual funds. So, if you have invested in Income fund/MIP with dividend option, their will be more DDT paid on dividends by AMC and hence your return will be less than earlier. 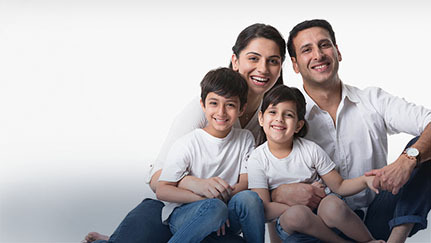 Life insurance premiums are eligible for deduction under section 80C where such premium does not exceed 10 per cent of sum assured. The cap has been raised to 15 per cent where the insurance is taken for an individual who is suffering from disability or specified ailments. The FM has promised that he will be tabling the DTC bill in the parliament soon and we hope that there will be some sweeping tax reforms in the bill. Till then we need to live with the current provisions and plan our taxes in such a manner that it results into a minimal outgo.